Kanoni. 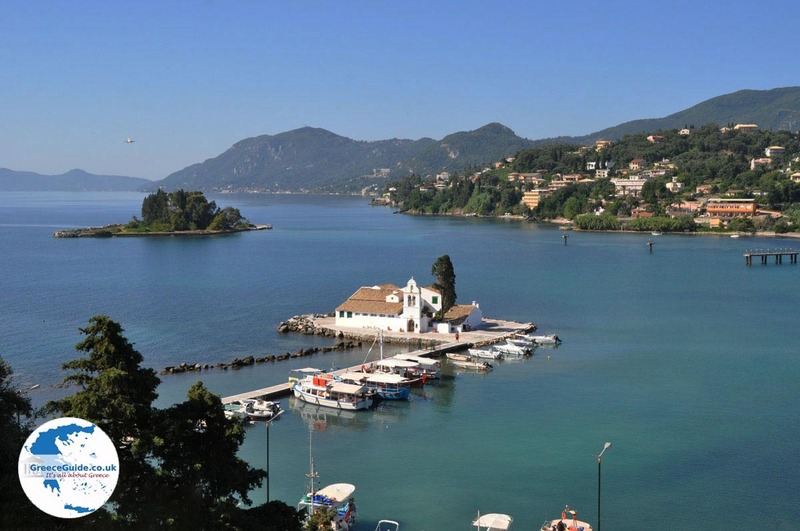 The village of Kanoni is located on Corfu and lies on the homonymous peninsula, 5 kilometres south of Corfu town. 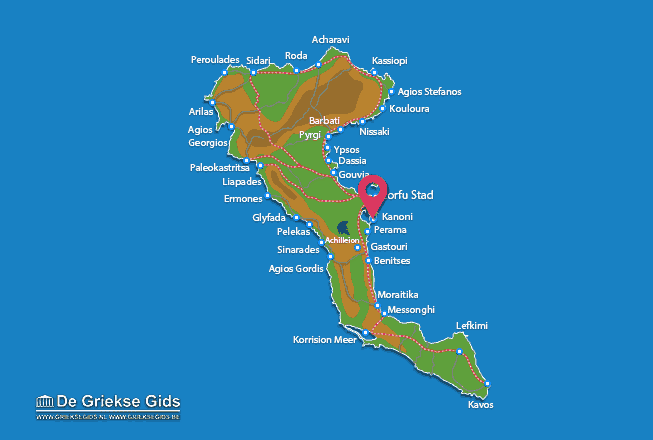 Kanoni is a busy tourist resort, there are many hotels, apartments, restaurants, souvenir shops and bars. 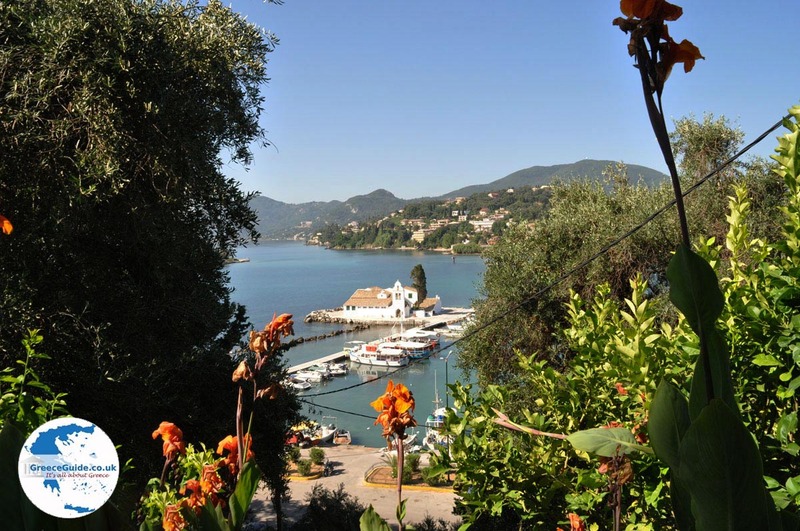 It is located in a beautiful area, next to the airport of Corfu. From the terraces of the cafes of Kanoni, you have a wonderful view over the runway. You can see here during the day planes taking off and landing. 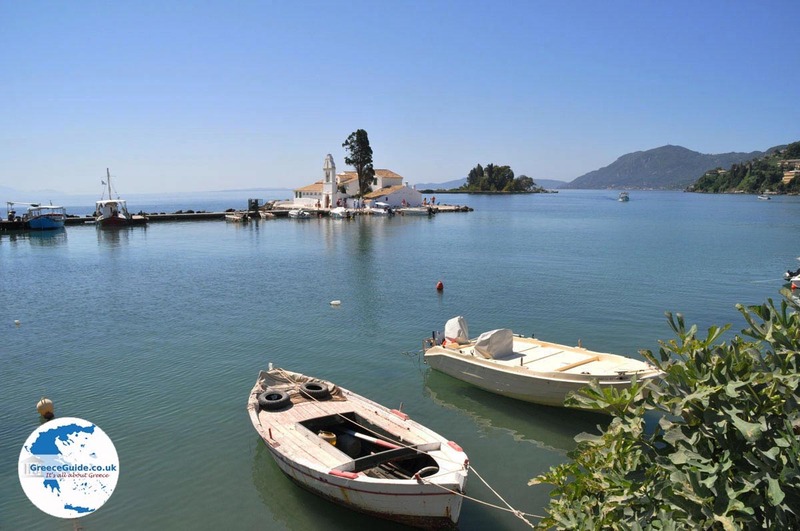 From Kanoni, you have also beautiful views over the bay where the island Pondikonissi and the Vlacherna-monastery are located. 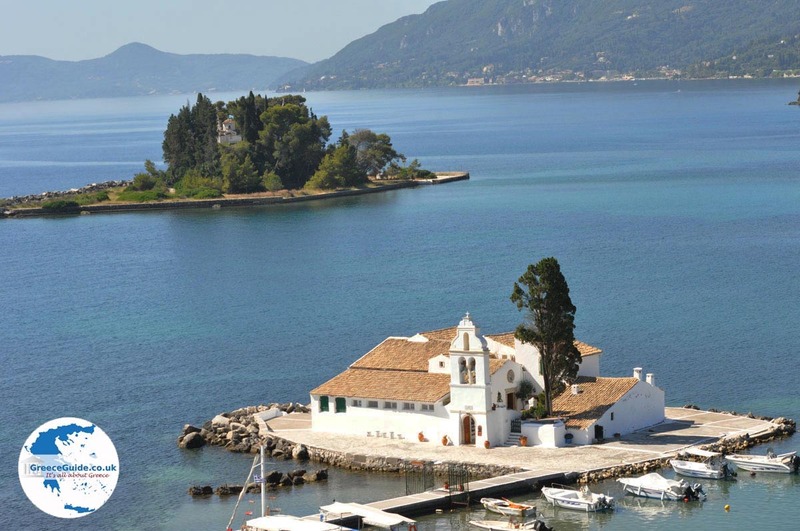 If you visit Kanoni in the morning, around nine or ten 'o clock, there is a big chance that planes from all over Europe land one by one at Corfu Airport. From the high spot in Kanoni, you have a fantastic view of the airport runway. 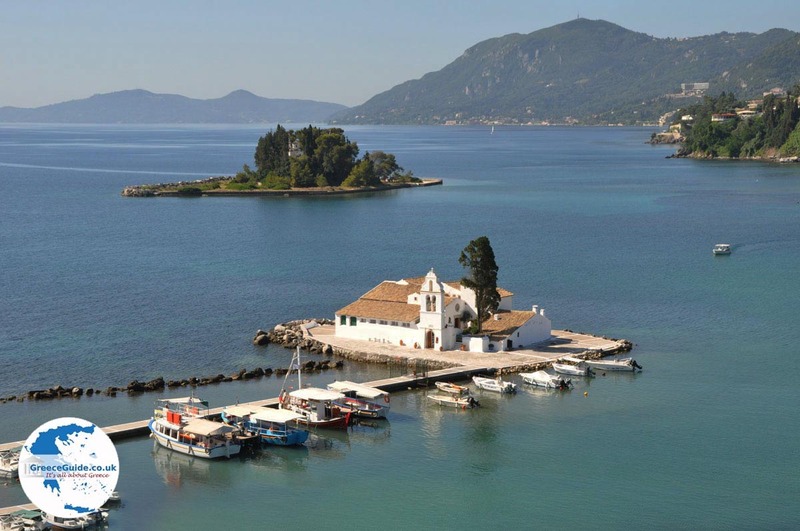 You also have a view of the beautiful white monastery Vlacherna and the underlying island of Pontikonissi (island of mice). A breathtaking sight. You can walk down from Kanoni via stairs and then walk across the dam to the other side. The nice (and exciting) of this is that the planes fly over your head to the runway, you can almost touch them. 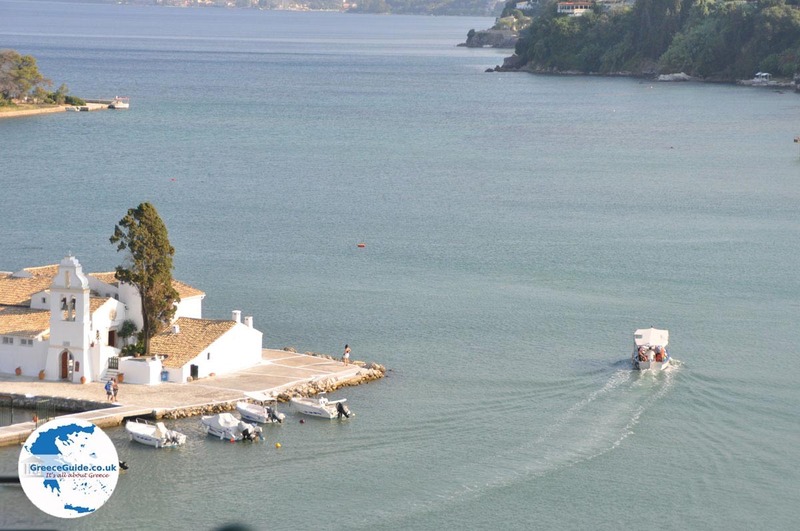 You can also visit the Vlacherna monastery here. 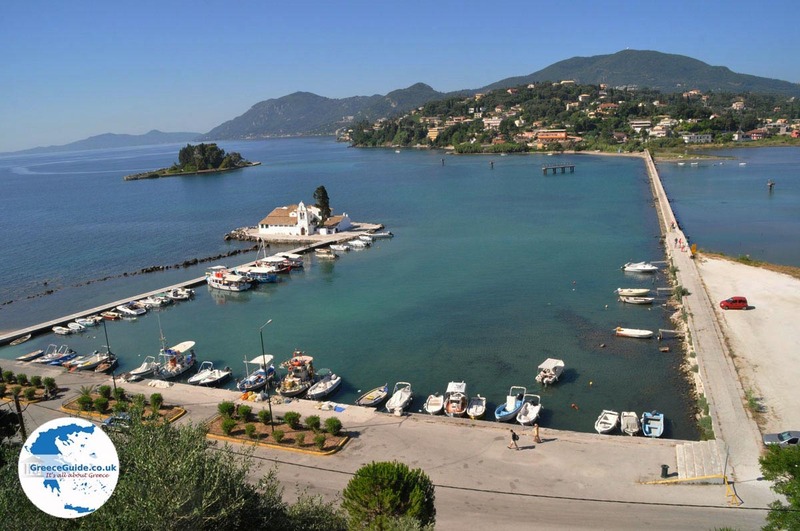 From the harbor you can take a boat to the island of Pontikonissi. 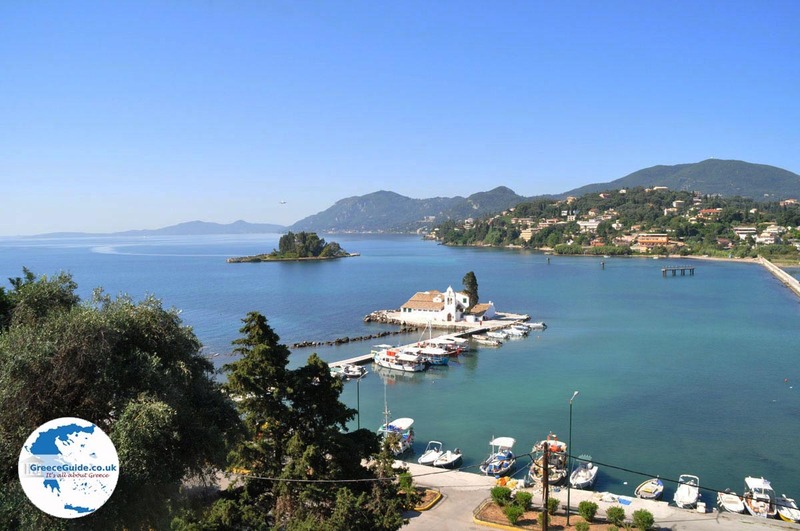 According to legend, the island would be the fossilized ship of Odysseus. The name "mouse island" would have been given the small island because of the shape of the abundant cypresses on the island, these would have the shape of mice. Or would it be because of the small size of the island? 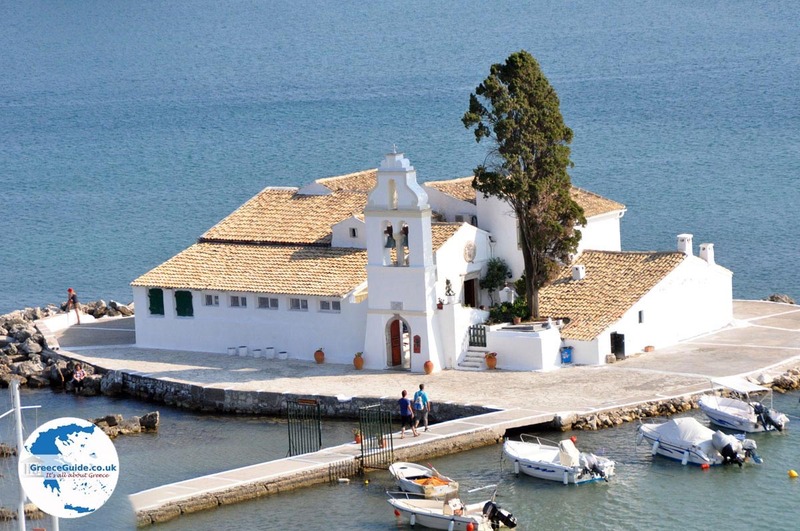 On Pontikonissi is a byzantine church from the twelfth century. 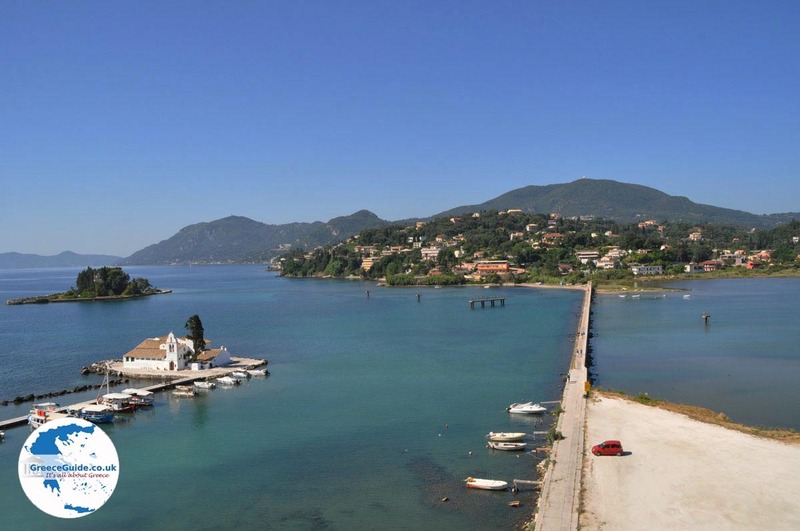 Corfu: Where on the map is Kanoni located?